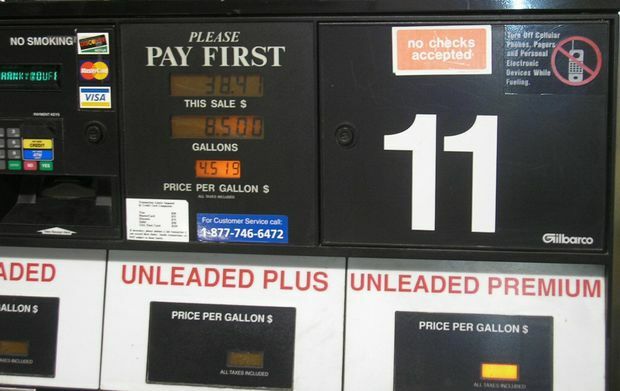 Gas prices in most parts of the state moved down slightly during the past week, according to the AAA Hawaii Weekend Gas Watch. Today’s statewide average price is $3.09, which is down two cents from last Thursday, a penny higher than a month ago, and 53 cents higher than on this date a year ago, according to GasPrices.AAA.com. In Honolulu, today’s average price is $2.95, which is two cents less than last Thursday, one cent more than on this date last month and 53 cents higher than last year. The Hilo average price is $3.07, which is one cent less last Thursday, one cent higher than on this date last month and 52 cents higher than on this date a year ago. Wailuku’s average is $3.52, which is one cent higher than last Thursday, three cents higher than on this date last month and 41 cents above this date a year ago. AAA Hawaii advises motorists to save fuel by regularly checking their tire pressure, properly maintaining their vehicles, taking excess weight out of the trunk, and shopping around virtually for the lowest gas prices with the free AAA Mobile app, which shows the cheapest gas price nearest to them right on the home screen.